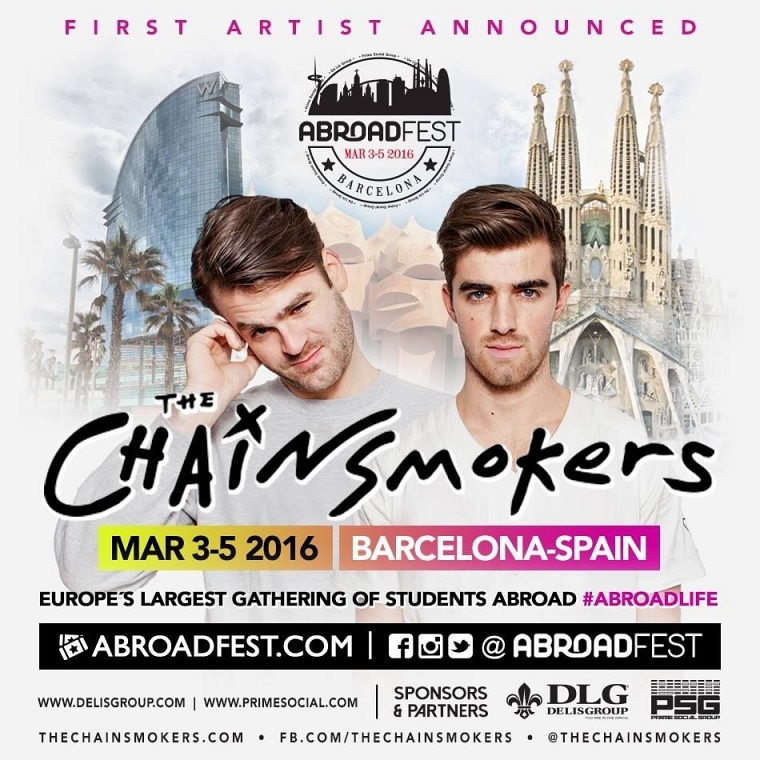 We are proud to announce that The Chainsmokers will be joining us at AbroadFest 2016!! From the Friend Zone Tour in the states to Barcelona, Spain – you’re in for the most epic weekend abroad!! Secure your tickets before they’re gone! >>> www.abroadfest.com <<< There is no other place I rather be!